I was cruising along Kamias road earlier today when I saw this ad. At first, I thought it was an additional decorative structure to make the barangay welcome sign more colorful. The sign also read "Enter a Perfect World". So it made sense that it was a catch phrase of the barangay to let people visit their area. 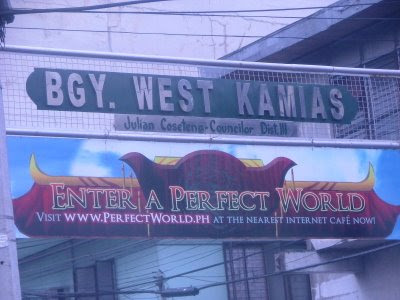 Upon closer inspection, I found out that it was an ad for http://perfectworld.ph , an online game. Ads like these aren't uncommon nowadays. 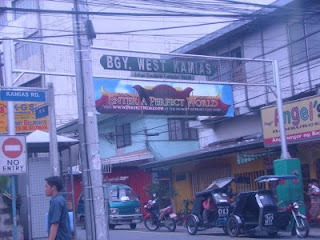 What surprised me was that it was situated exactly beneath the standard barangay welcome sign. With that in mind, I guess the next step they could've done is have an internet cafe nearby.